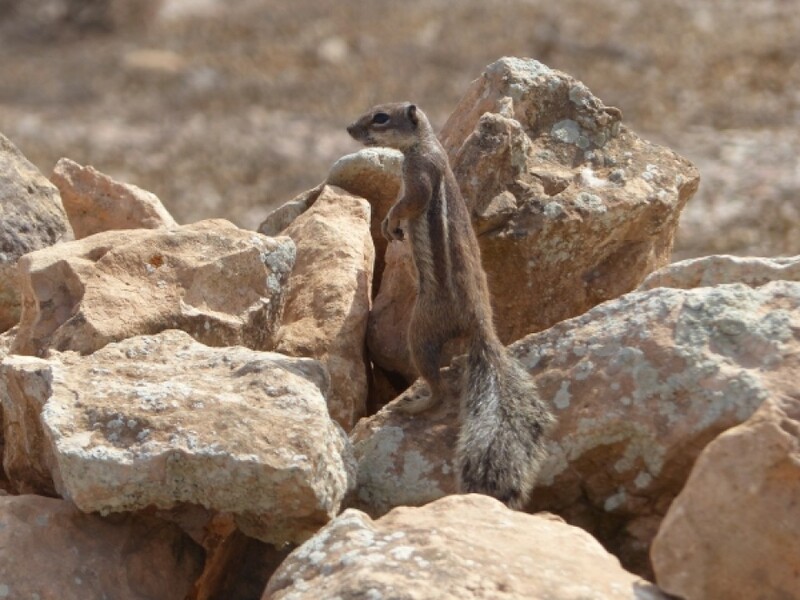 It is not uncommon to make surprising encounters in the immensity of this aera where a large variety of wildlife is active. 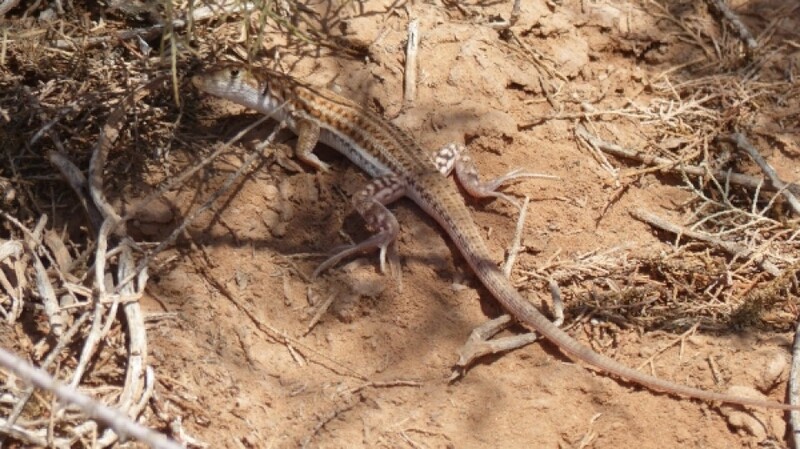 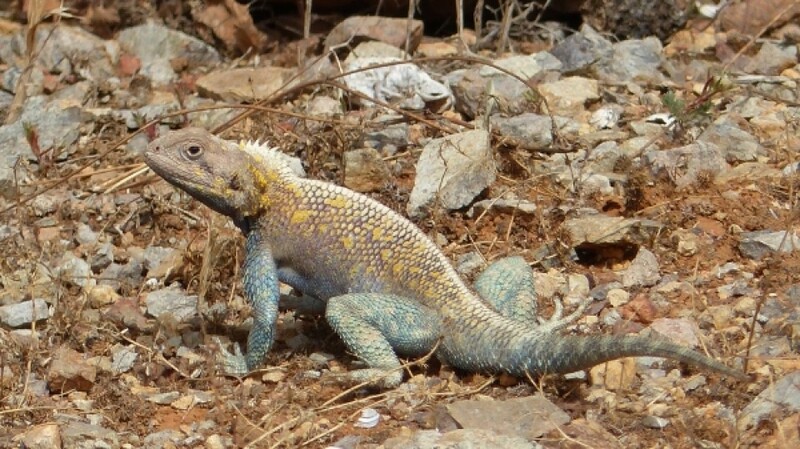 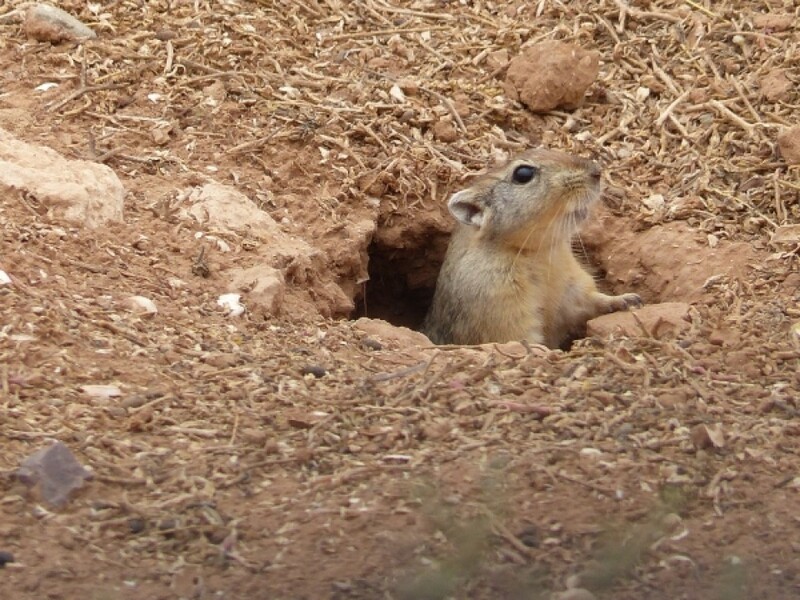 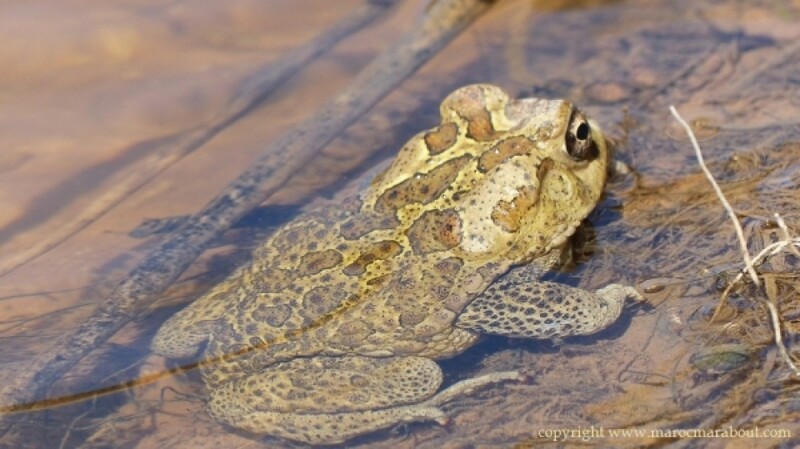 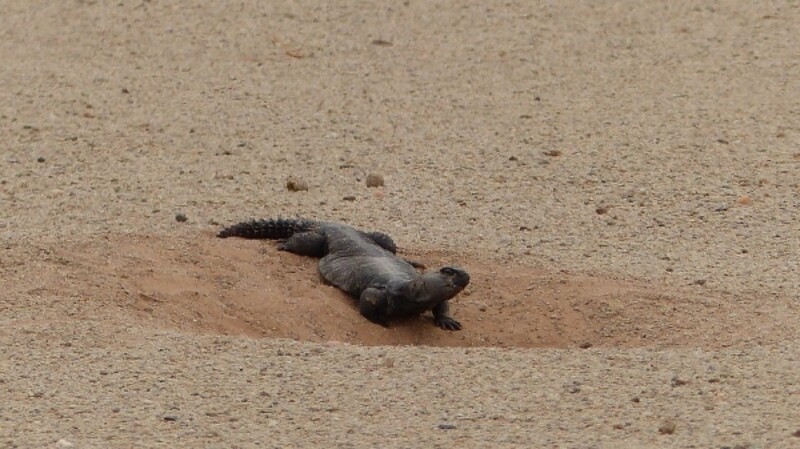 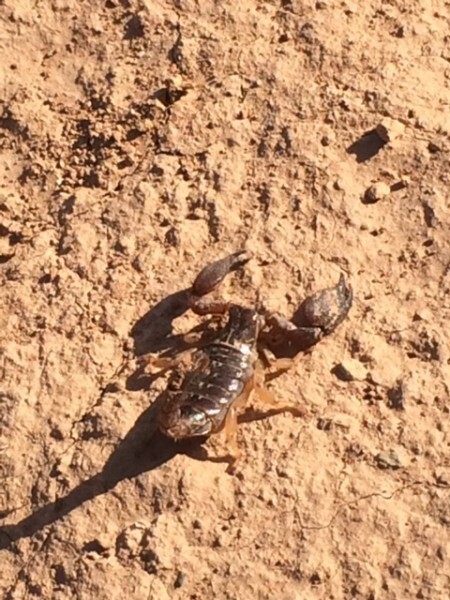 There are wonderful colourful agamas around Sidi Ifni, lots of spiny-tailed lizards at midday in the desert of Tiris, a young wild fennec in the desert of Smara, the early jackal in the dunes of Aourioura and near Foum Assaka, we talk about the recent observation of wolves in the region of Guelmim…. 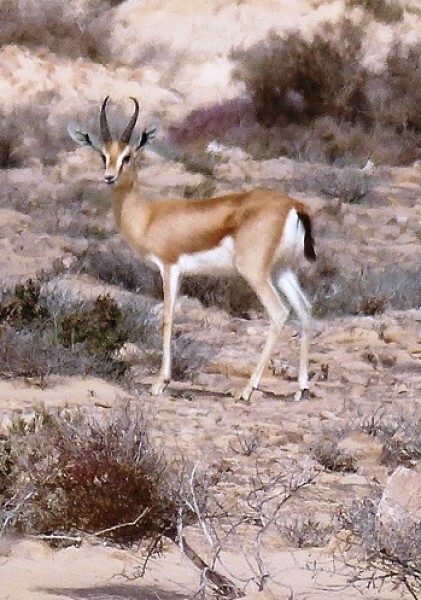 However, the current concern is the protection of gazelles. 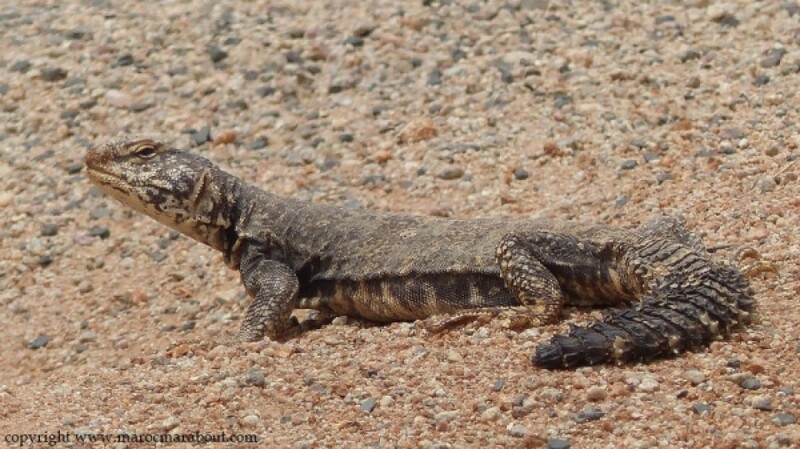 Unfortunately, these animals are endangered notably because of poaching. 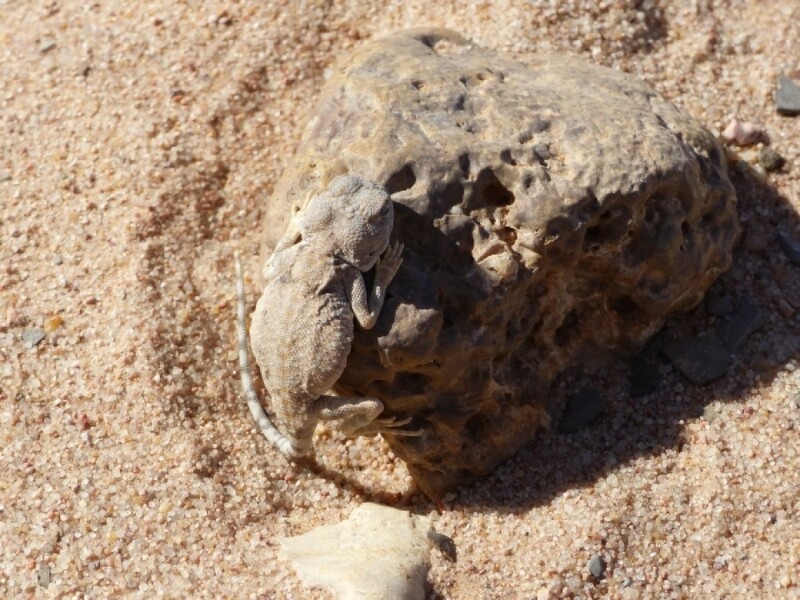 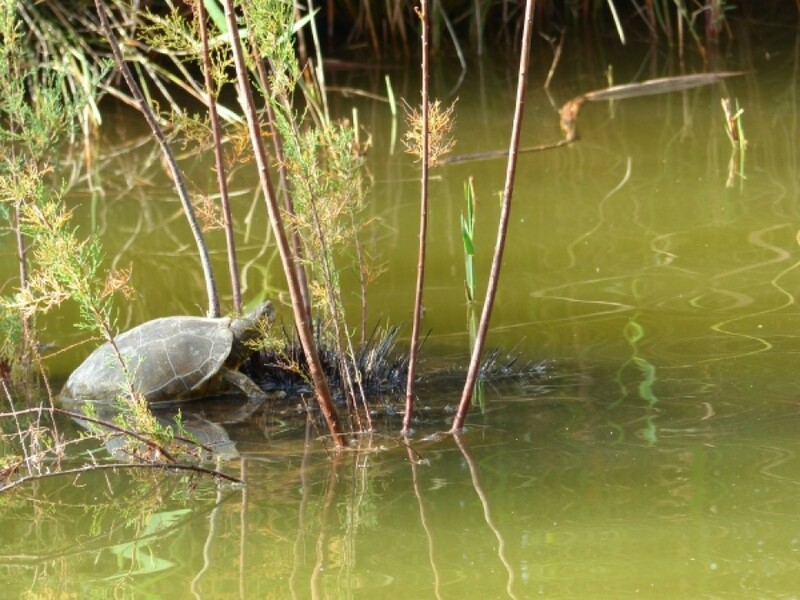 The National Parc of Souss Massa and the Association Nature Initiative of Dakhla does an admirable job of species reintroduction.